Now that the holiday season is over, it’s time to start thinking about your teeth. Why should you get a dental cleaning? A lot of people avoid dental cleanings and only come into the office when they have a problem. At our Ballwin family dentistry, we focus on preventing tooth decay and gum disease. We help our patients avoid painful and expensive dental procedures with early intervention. Here are some of the reasons why it’s important to visit your Ballwin dentist for twice-a-year dental cleanings and examinations. Prevent Cavities. Of course, the most important reason for visiting the dentist is to prevent cavities. Catching a cavity in the early stages of formation will aid in decreasing the risk of serious tooth infections that could lead to root canals or extractions. Plaque builds up around the teeth and will lead to cavities if it not correctly removed. Daily brushing and flossing help to reduce bacteria, but it won’t be enough for hardened plaque. Prevent Gum Disease. Certain health conditions can increase the risk of gum disease. Failure to brush and floss daily will lead to a greater risk of gum disease, but we have also seen problems related to medications and diet. Coming in for annual cleanings and examinations is the best way to prevent gum disease and keep your mouth healthy. Prevent Tooth Loss. Plaque is detrimental to your oral health as it causes gum disease and tooth decay. If left untreated, plaque will continue to cause problems, which could destroy the root of a tooth and the supporting structure. Pain and intense abscesses can occur, leaving tooth extraction as the only possible solution. Whiten Your Smile. Teeth staining occurs naturally for many people, especially if you have a diet that does include consuming dark beverages and acidic foods. Visiting our office for annual cleanings allows us to track the shade of your teeth and discuss teeth whitening options if we notice your smile is starting to look yellow. Consider reducing your intake of tea, soda, coffee, and wine as they are all known to stain teeth. Save Money. 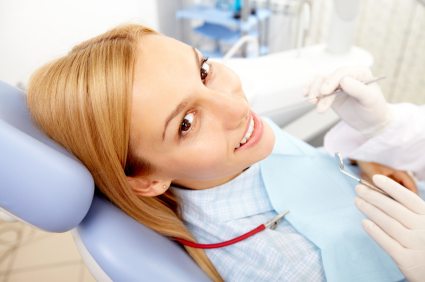 Most insurance providers will pay for Ballwin dental cleanings, costing you hardly anything! Preventing is critical if you want to steer clear of expensive procedures that can run thousands of dollars. Take advantage of dental insurance offering free preventative treatments to aid in protecting your oral health. Call our Ballwin dental office to schedule your annual cleaning and examination and be on your way to a healthier smile!